Your smile says a lot about you, so it’s important to ensure that it lasts for a lifetime. 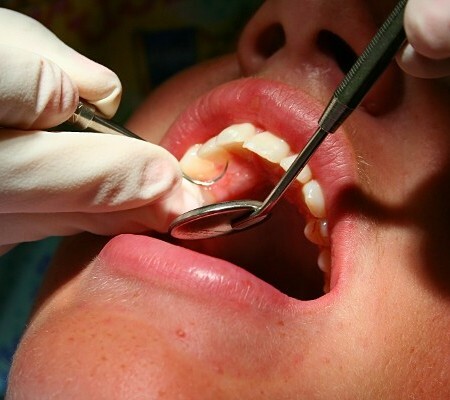 When you lose any of your natural teeth, having them replaced as soon as possible is necessary. In addition to maintaining the appearance of your smile, replacing your missing teeth preserves your facial structure and keeps your other teeth from becoming crooked over time. It also enables you to continue chewing and speaking normally, sparing you from a great deal of frustration and difficulty with your everyday routine. When you’re ready to regain your sense of pride and renew your self-esteem, turn to our team of experts for your new dental implants in Raleigh, NC. Our highly skilled staff utilizes state-of-the-art dental equipment to ensure that you receive the quality dental care you deserve, and we strive to provide the most pain-free experience possible when you visit our office. We take pride in giving you the confidence you need to share your smile with the world, so be sure to schedule an appointment with us at your earliest convenience. Our dental implant dentist is committed to providing the highest standard of care to all of the patients who come to our office for the replacement of their missing teeth. We believe that everyone should have access to proper dental care, especially in the case of an emergency that could lead to potential health issues. Our office accordingly offers the most affordable services possible for all of the dental services we provide, so you’ll never have to worry about breaking the bank to maintain a healthy and beautiful smile. We understand that a visit to the dentist can seem like a major financial investment, but it doesn’t have to be when you choose our office as your destination for quality dental care. Combined with our already low prices, special discounts on certain dental services ensure that your visit to our tooth implant dentist will be even more cost-effective. We strive to work with your budget to help you get the dental implant treatment solutions you need, regardless of your current financial situation. Our dental staff has developed extensive experience by treating patients of all ages over the years, so you can rest assured in our expertise for the care you need. Contact us to learn more about our affordable dental implants. We serve patients in North Raleigh, Knightdale, Durham, Garner, and Holly Springs, North Carolina, and the surrounding areas.